I’m sad to report that our colleague and Acupuncture Canada co-founder, Dr. Joseph Wong, died early on the morning of November 9th. Joe had been through a protracted illness that began with a stroke earlier this year. Our thoughts are with Joe’s wife Marta and his children. Dr. Joseph Y. Wong received his MD in China and Canada followed by his medical specialty training in Canada in Physical Medicine and Rehabilitation. He practiced as a medical specialist in rehabilitation for 50 years. He participated in the founding of Acupuncture Canada (then Acupuncture Foundation of Canada) in 1974. Dr. Wong felt that TCM acupuncture teachings should be joined with western-based scientific medicine. He developed a new direction in acupuncture, based on anatomy and physiology, known as neuro-anatomical acupuncture. This new direction became the basis of the curriculum for Acupuncture Canada, where Dr. Wong was the Chief Lecturer from 1975-2001. So many health professionals who use acupuncture owe a debt of gratitude to Joe for making anatomical acupuncture so fundamental to their practices. Joe’s remarkable contributions were recognized in February 2017 when he became the recipient of the Groundbreaker Award from the Dr. Roger’s Prize for Excellence in Complementary & Alternative Medicine. I had the honour of attending the awards ceremony and I recall the inspiration I felt realizing that the path Joe chose to follow was based on his patient focus. At the heart of his work and drive was always a way to improve his patients’ health and well-being. 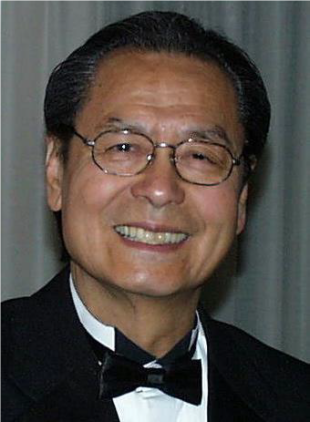 Dr. Wong also received the Clifford G. Woolfe Memorial Lecture Award from Acupuncture Canada in 1993 in recognition of his outstanding contribution to Medical Acupuncture Education. He lectured around the world, and received an Honorary Doctorate from the Open International University of Complementary Medicine, as well as the “World Famous Doctor Award” and the “Golden Ox Award” from the World Peace Foundation of the United Nations. He has long promoted the fusion of Eastern and Western medicine with the intention of integrating them into the mainstream, and he emphasized that doctors should utilize the best from both disciplines to perfect an empirical medical approach. Dr. Wong is the author of multiple publications on acupuncture, including a series of books on neuro-anatomical acupuncture.